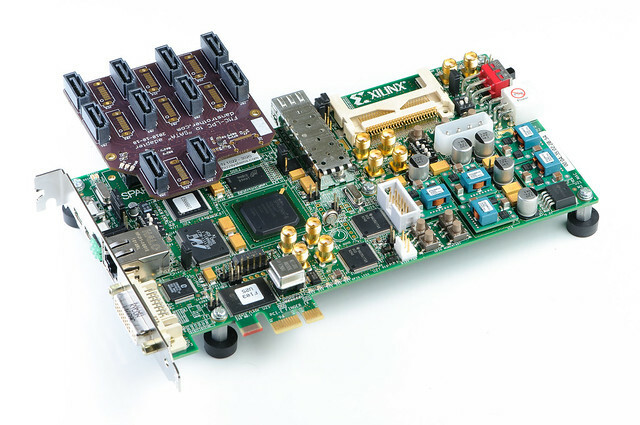 The first version of my open-source OpenCV–compatible FPGA Stereo Correspondence Core is now available! It’s written purely in synthesizable Verilog, and uses device-agnostic inference for all FPGA primitives (though the current implementation is more optimized for Xilinx devices). I’m releasing it under a standard 3-clause BSD license. The design is heavily pipelined. 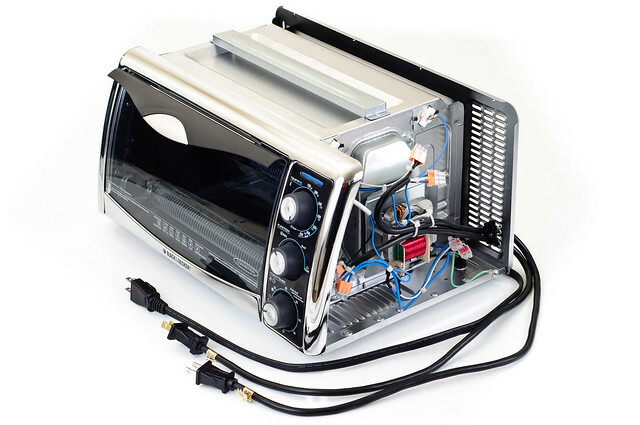 Under realistic conditions (in a highly-utilized, slowest-speed-grade part without any floor-planning), it can run around 150 MHz in Spartan-3E and Spartan-6 parts, and around 300 MHz in Virtex-6 parts. Much higher speeds (50+%) are possible under unrealistic (ideal) conditions. The core has been verified in simulation using Verilator with SystemC testbenches. Post-synthesis results (from Xilinx’s XST tool) have been verified using a simplified Verilog testbench and Xilinx’s own ISim simulator. That being said, the correspondence core easily represents the most critical, most resource-intensive and highest-performance component of the entire system. Completing it is a major milestone in the project. 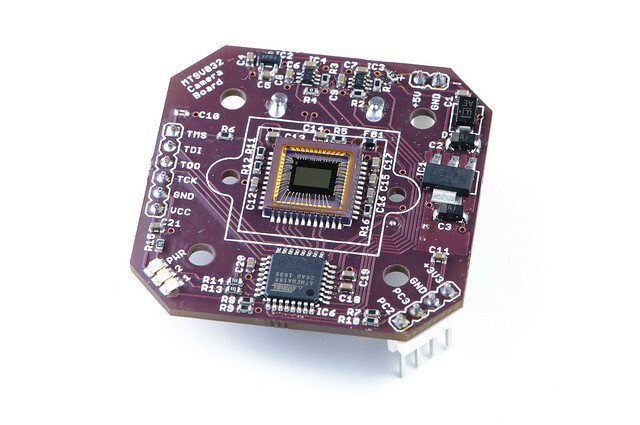 Eventually, when my FPGA stereo-vision project nears its terminus, I’m going to want to produce a refined sensor board that combines the image sensors and FPGA onto a single board. 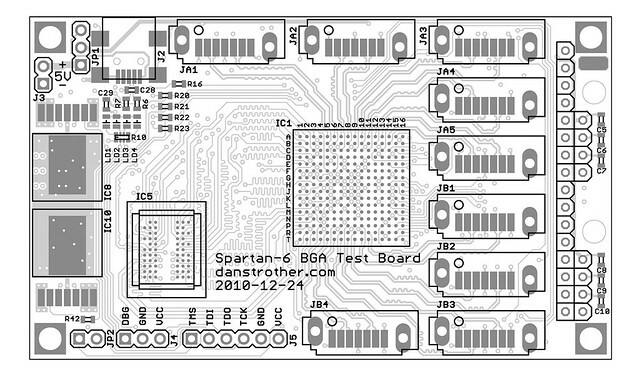 In preparation for that, this board is a test vehicle to investigate what it takes to design and assemble a compact PCB with multiple BGA packages using only tools and services that are within the reach of a well-equipped hobbyist. Looking at the top two items on that list – an FPGA in a 256-ball 1.0mm BGA package, and a memory device in a 60-ball 0.8mm BGA package – one can easily imagine that assembly is going to be the trickiest part of this project.. but this post isn’t about the assembly of the board, seeing as I’ve only just sent it off to be fabricated (this time by Laen’s 4-layer PCB service). I’ll make a follow-up post once the board is back and assembled. Instead, this post is entirely about the design and layout of the board. Reflow soldering is not new. The electronics industry has been using it forever. Hobbyists have been flocking to it in droves. Many use toaster ovens. A growing contingent use skillets. A few do it open-loop. Some use integrated PID controllers. A handful reflow both sides. Quite a lot use stencils. Others forgo that luxury and manually apply paste. Just a few reflow BGAs (and the exceptionally skilled reflow BGAs by hand). Here’s a board I designed back in 2008. 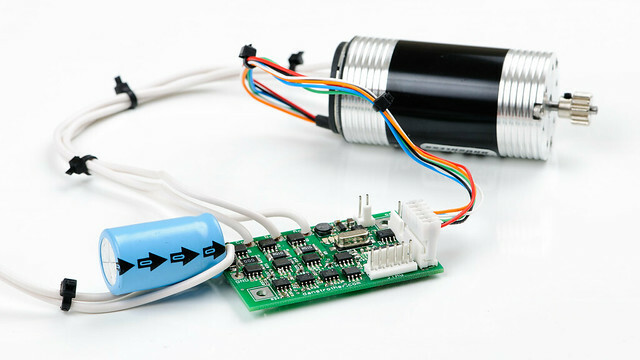 It’s an excessively feature-packed brushless DC motor (BLDC) controller. 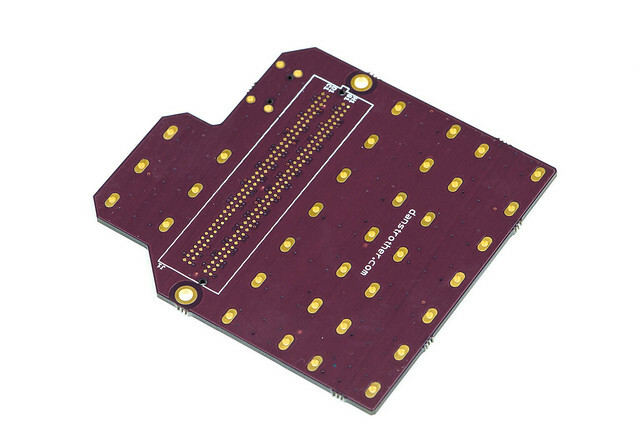 ..And all of that fits onto a single low-spec (BatchPCB compatible) 2.5×1.5″ 2-layer PCB. It has now been just over 6 years since I launched the last incarnation of my website. Finally, it has now been supplanted by this – a site that can safely be regarded as superior in virtually every way (if for no other reason than its tentative embrace of the buzzword-laden Web 2.0 – yes, it is now possible to comment on my content. How novel). Many of my past projects are now well-documented here (of particular interest: Eddie, a Mars-rover inspired autonomous robot; and Elysium, a presentable solid-state Tesla Coil). Some others are only glorified photo-galleries at the moment; these will be expanded upon in due time. Speaking of photos, I’ve picked up another hobby in the past year: photography. As a result, expect many more and better photos of my past (those that I still posses) and ongoing projects. These will make their way to my Flickr photostream before venturing here (and often, due to sheer volume, in lieu of ever appearing here). Anyone that is familiar with my previous attempts at websites will be skeptical of my ability to make updates in a timely fashion (that is to say, more frequently than once per leap-year). I’m hoping that this blog format will encourage me to make more frequent postings about whatever it is that I’m currently working on (be it a project, some photography tidbit, or even just a hike I’ve been on). We shall see.